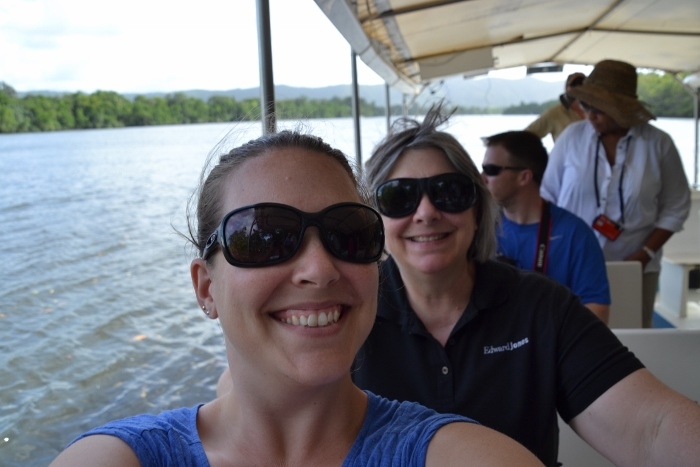 June 20, 2014 June 20, 2014 Joanna V.
The final leg of the journey (or so I thought; I always seem to have these bonus adventures when I’m abroad, don’t I?) took me to Queensland in northeastern Australia. We did a lot of iconic things, and I’ll give you the rundown here. After saying goodbye to my dear friends in Perth, I met up with my folks at the Pullman Resort in Port Douglas. 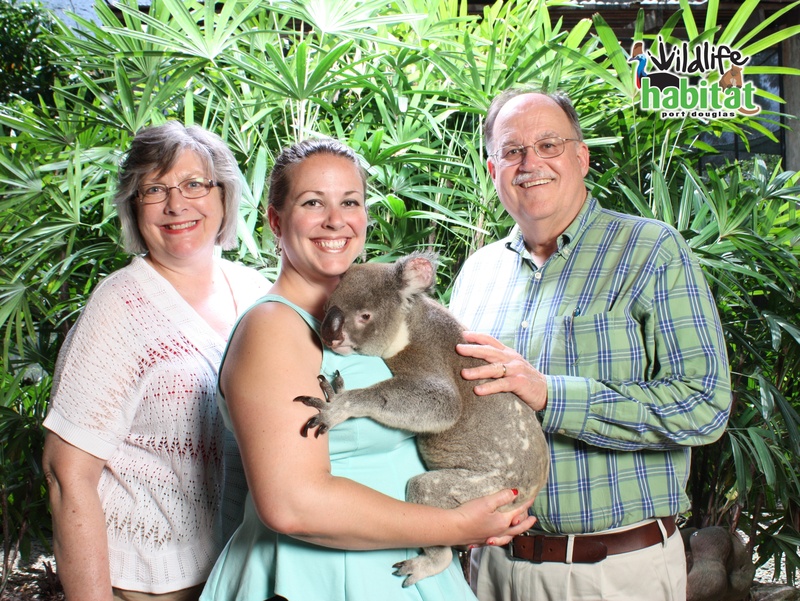 Our first major stop (after I got in late on travel day and basically crashed that night) was the Wildlife Habitat, an ecotourism animal encounter place with emphasis on education and all native species. Other than the sheer diversity of their collection, the highlights of this visit definitely included hugging a koala (see the top? eee!) 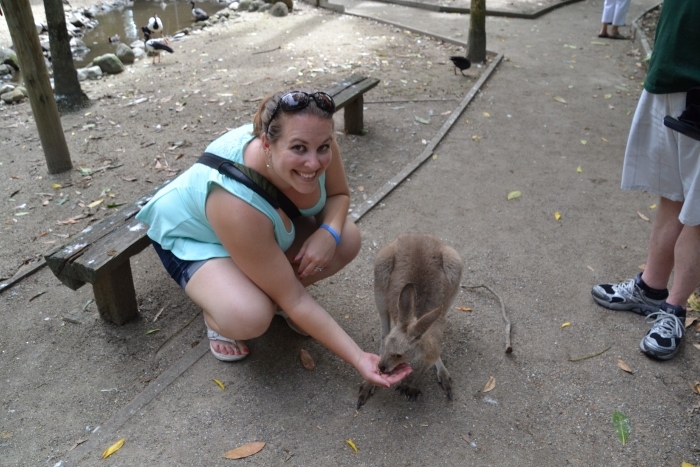 and feeding kangaroos in their open, mixed species exhibit. 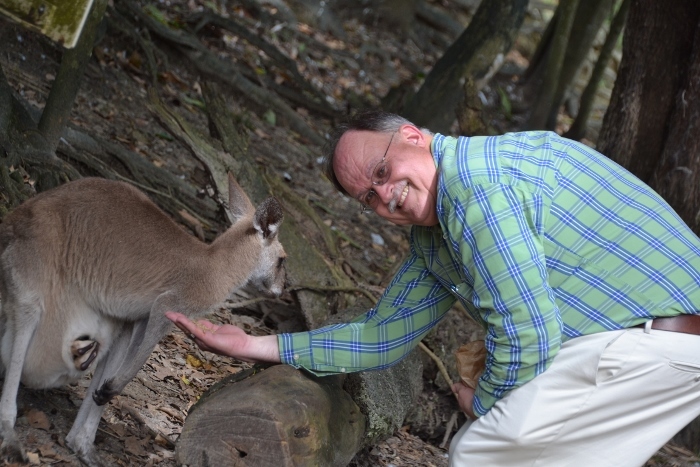 We all got into the action, and after a little practice, learned how to coax them closer with the promise of a snack. 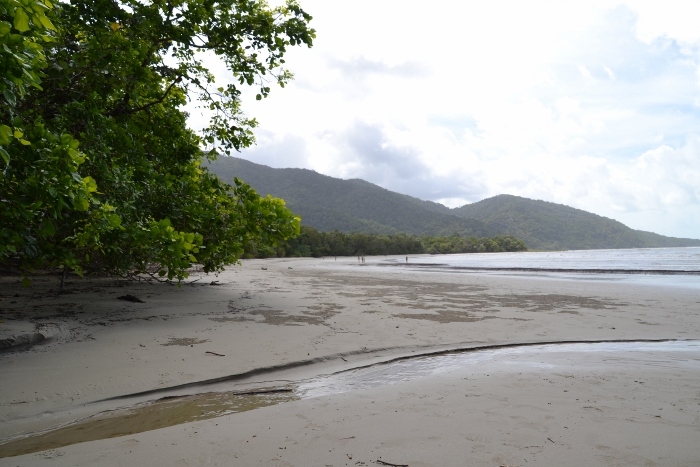 Our second full day in Port Douglas, we boarded a bus with a really fantastic local guide and took a trip north and into the Daintree Rainforest, the oldest rainforest in the world. 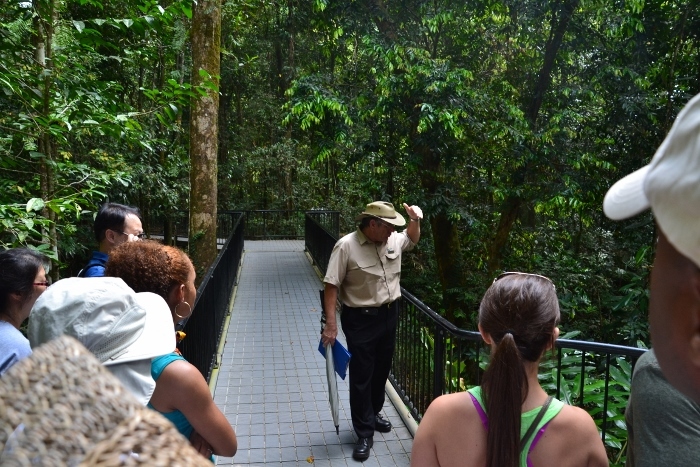 Our first major stop was Mossman Gorge, a visitor center and trail system maintained by the local Indigenous people. 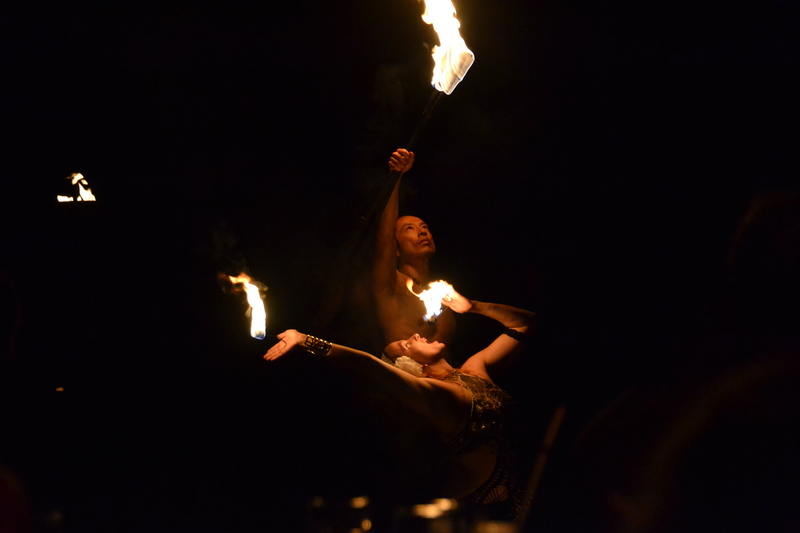 …for the outdoor dinner show Flames of the Forest, which included family-style local foods and music, not to mention a couple of fire dancers. Our tent got visited by a tree snake, which was very exciting for me (yay wildlife!) but not so much for the staff, who shooed it back into the trees. 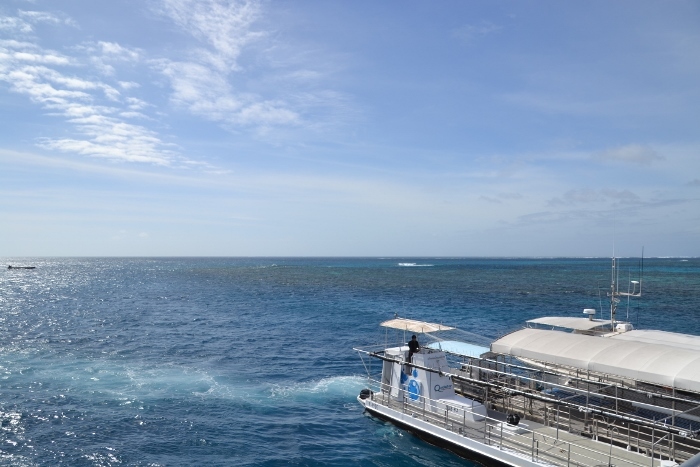 …to the Great Barrier Reef! You can see in this photo where the water looks a little brown? That’s where the reef comes up almost all the way to the surface. 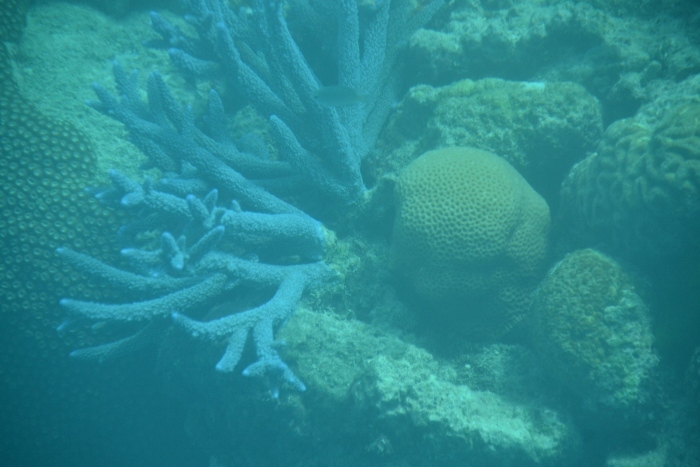 The large white structure on the right is a diving platform with a small submarine beside it to optimize the ways you can see the reef. 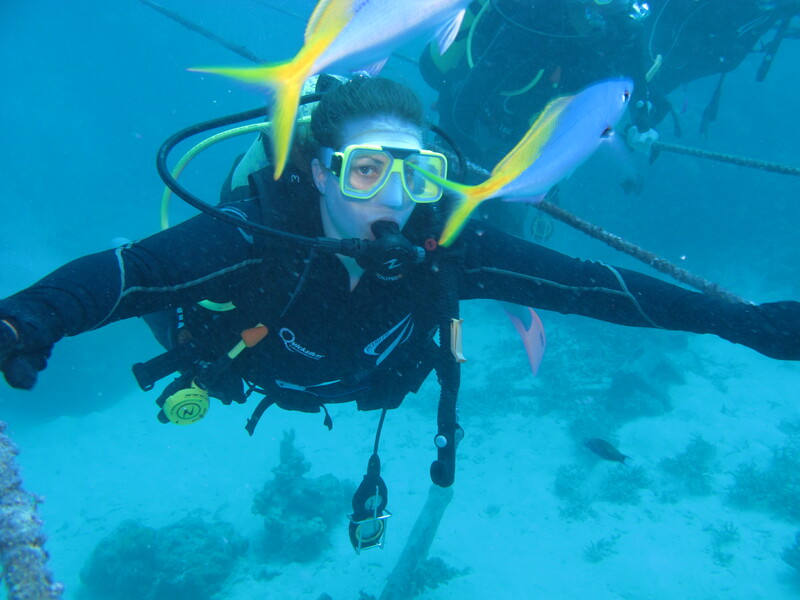 …so I took a diving lesson to get as close to the coral and fish and everything else as possible! I got to touch an anemone (it felt like a sticky cloud) and a giant clam, and I spotted a shark and a giant grouper (it was larger than me), an eel and iridescent squid that had purple edges, and so many kinds of coral I couldn’t count them. It was seriously one of the most amazing experiences of my life. Mocka’s Pies: a famous pie shop in Port Douglas, very affordable and good selection of Australian bakery goods. Flames of the Forest: as mentioned, native foods and good entertainment. Mayi Cafe at Mossman Gorge: try the bush tea and damper if you can, it’s lovely!